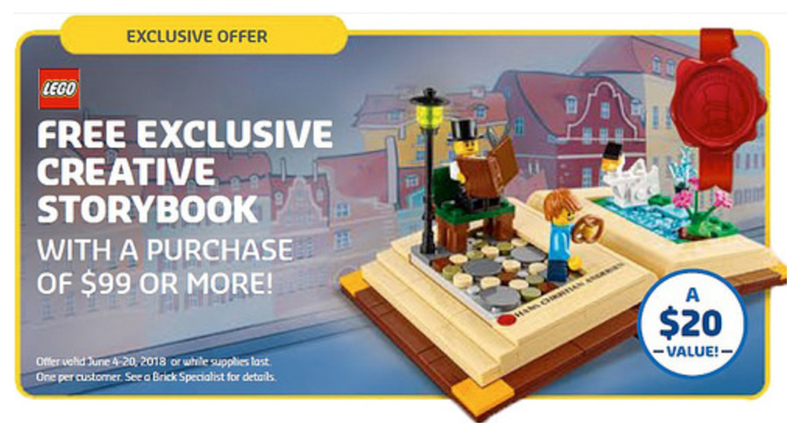 Lego 40291 Creative Storybook 安徒生與醜小鴨組合在 Lego Store Calendar June 2018 曝光, 將會在 6月的 Lego Store 送出, 組合比過去的 GWP ( Gift With Purchase ) 組件更多, 特別之處組合以書本形狀作基座. 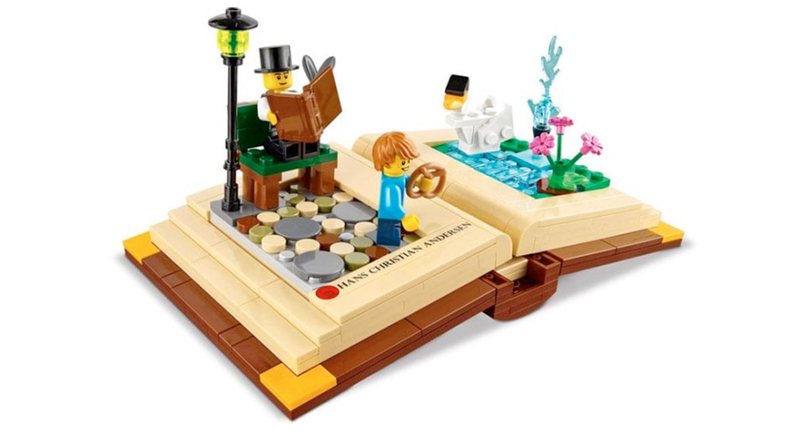 Lego 40291 Creative Storybook 組合如打開的書本, 左邊是安徒生 ( Hans Christian Andersen)在創作而另一頁則是醜小鴨的故事情景. 組合將會作為 Lego Store 6月購物禮遇, 只要購物滿$99 便可以免費獲得, 留意這次購物禮遇 (GWP) 每位消費者限換一盒, 這是比較特別.